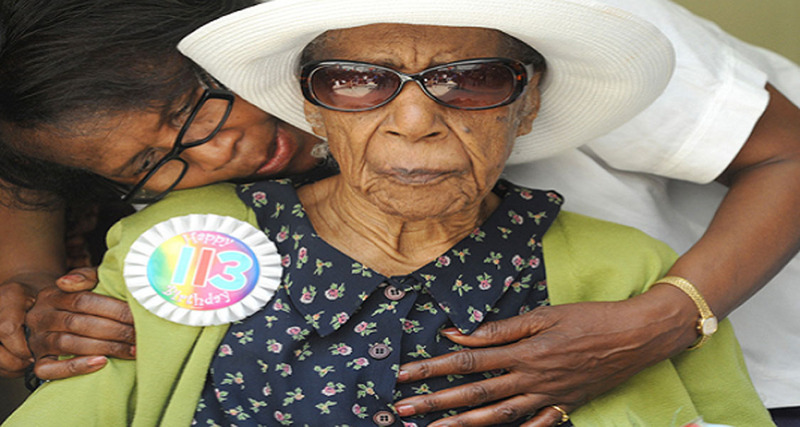 Susannah Mushatt Jones was born on July 6, 1899, and was named the world’s oldest living person at 116. The American super centenarian, whose name was inscribed in the Guinness Book of Records, revealed her secret to longevity. Her daily serving includes bacon, scrambled eggs and corn grits. It may sounds unhealthy and even dangerous and carcinogenic, but Susan does not give up her bacon habit. According to the World Health Organization (WHO), eating bacon for breakfast every morning can cause bowel cancer in humans. However, at 116, she keeps a steady diet of 4 slices of bacon, scrambled eggs and grits for breakfast. Susannah says ‘’Bacon makes everything better’, but she credited her abstinence from tobacco and alcohol for her prolonged good health as well. She normally sees the doctor two to three times a year. She takes only vitamins and high blood pressure medications. Additionally, she has refused a recommended pacemaker and cataract surgery that lead her to total blindness. – “I surround myself with love and positive energy. That’s the key to long life and happiness’’, claims Susannah. During her 116 years of life, the oldest resident of the planet has witness all kind of things. She was 19 when the First World War ended and even 70 when the first humans landed on the Moon. In 1928 she got married. She got divorced in 1933 and she never had children. She worked for wealthy families taking care of their children for $7 a week.